Looking for the Best Distance Education University in India, your search ends here. We shall be discussing some major points on Distance Education in India. We have also compiled an exclusive list of Distance education universities from all over India that will surely guide your way in your educational journey. Some big and common names, you might have already heard from your friends or relatives that we shall be adding here. Also, few other names that are quite popular in the sphere of distance education have been highlighted. Every year lakhs of students get enrolled in regular graduation or post graduation distance learning courses throughout India. In fact, distance learning is preferred by many students as well as professionals who can’t attend regular academic classes. There are various personal and other reasons for joining a distance education programme as discussed below. Doing a regular course or degree and adding up to your qualification through a distance course as well is a common practice in India. e.g. Its a common trend for CA students to pursue graduation from distance education university along with completing the CA course. If you are working and want to upgrade your qualification, then doing a distance education is the best choice. You can easily manage your work commitments along with your study from any location. In certain situations, it is not feasible to attend regular college or university for some students. In such cases, distance education comes to your rescue. You can enrol for the course of your choice and appear for the exams, balancing your family and work life. Different distance education universities provide a whole lot of programmes may it be Bachelors Programmes, Masters Programmes, Certification Programs or any Specialised courses at quite reasonable cost. The fee is quite low as compared to normal regular courses. So, its quite affordable for the ones who cannot spend much on higher studies. There may be numerous other reasons which lead you towards the path of distance education. Whatever, the reason may be Distance education comes packed with various advantages plus few drawbacks as well. If you have the zeal to do something different, you may have a look at: Best Courses after 12th : Creative Career Options to look for! You can do it from anywhere in India, any suitable location as per your convenience and priorities. Distance education can be taken up along with your job and other work. So, you can “learn while you earn” through distance education. It is quite affordable as compared to the regular courses that one goes for from a regular institution. You save a lot on the course fee, the commutation charges to and from the institution. The online courses and off campus courses are relatively cheaper than the on-campus courses. You get a lot of flexibility to pursue any course along with your busy work and personal schedule. No compulsory regular classes to be attended. However, in case of some universities you may require to attend few classes but that too occasionally. In certain courses assignments need to be prepared which can be done from home easily and submitted before the specified date. These conditions vary from university to university and as per the course you have selected. Imparting distance education through e-learning modules plus self learning material is the trend these days. This sounds really interesting! Now, What you need to do while opting for a distance learning course? You just need to fulfil the preliminary requirements like assignment submission, minimum weekly/weekend classes online or offline. Just a small no.of classes and nothing regular one to worry about…these are easily manageable since are held mostly on weekends. All done, Go and appear for the examinations. Of course, you need to study and prepare for the examinations to score good marks. You will miss the classroom environment and the best college life moments that make you learn a lot. Lack of social interaction used to be one important factor earlier. However, these days this factor also does not matter a lot since students interact through various other modes and social media groups. Regular courses are given more importance than distance learning at various places whether in seeking employment or anywhere else. You may not get to interact with the faculty quite often. However, you can schedule sessions if you wish to clear your doubts related to the course. Although numerous off campus courses are provided by different universities all over India. But, few courses that require practical experience are offered on campus only. e.g. In a nursing course, you need to know how to handle patients in real life which can be learnt through practical on campus training only. So, if you are thinking to pursue distance education, you must go through this massive list. Become aware of all the Top 5 Distance Education Universities in India providing distance learning courses to students. Don’t miss to checkout some other popular names in distance education as listed below. Choose the one that’s best for you! IGNOU is a Central University established under the Act of Parliament. IGNOU is the most popular distance education university in India providing education through the Open and Distance Learning(ODL) mode. It offers a whole range of 500+ programmes wherein 3 million students are enrolled to study different courses. The programmes offered are quite reasonable in terms of cost. A lot of flexibility is provided throughout and you can pursue the courses from any location easily. This is also one of the common names that we tend to hear for getting distance education. SCDL is an autonomous institute where you are offered a variety of Post graduate programmes, diploma programmes and other certified programmes as well. This imparts you a great learning experience in different management and other programs catering to the modern industry needs. SMU is another popular name in the field of distance education located at Gangtok, Sikkim, India. SMU offers quality programs in Open and Distance education covering a vast range of undergraduate and post graduate management and information technology programmes. SMU provides UGC approved industry oriented distance learning programmes to adhere to the changing environment. Institute of Management Technology, Ghaziabad provides distance education courses through its Centre for Distance Learning (IMT CDL). It offers a whole range of UGC recognised post graduate management and Information technology programmes taking your career to new heights. Its Masters in business administration courses are quite popular amongst students. ALSO READ CA Course : How to become a Chartered Accountant or CA ? This university is also a strong contender amongst the top distance education universities in India. A great range of correspondence courses both at the undergraduate as well as the post graduate courses are offered through University of Mumbai. It offers courses in the field of arts, science, commerce and management etc. This is just a small list of Distance education universities in India. There are a lot many to add to our list! Any other popular distance education university or institution name that you wish to add here? Do let us know in the comments section. You may also like to have a look at 9 Best Courses after 12th Commerce! What are you thinking now? Have you decided which way to go: A regular course or a Distance Learning Course? If you wish to opt for a Distance learning course, do keep in mind the points we have highlighted and the top or best distance education university in India. Feel free to share your valuable feedback, experience you had with any of the university or any query thereon. If you liked it, do share the post with your friends to help them in their career decisions. I was looking for good distance education universities and came across this article.Thanks for the great help. 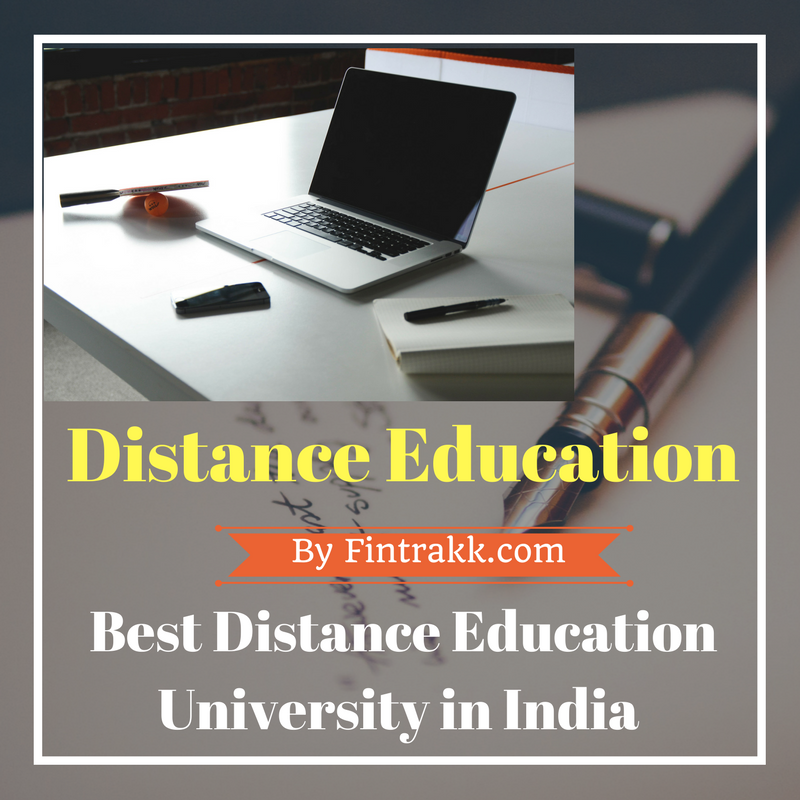 Thanks for sharing.A good list to know various distance education universities in India. IGNOU is a popular choice amongst students when it comes to pursuing distance education. A good list to go through.Thanks for sharing. I read this and it is very helpful blog. There are different Institutes offering different distance courses in India that too at an affordable fees. There you can get best distance MBA Courses also. Thanks for the useful information on distance education universities in India. Distance learning is quite common amongst working professionals. Thanks for sharing a good list. « Applying for Personal Loan: Check Eligibility,Documents & Apply online!